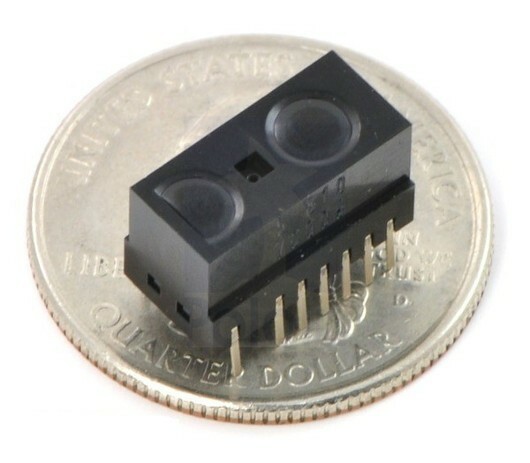 The sensor can detect object in range up to 10 cm Output is a digital signal. High (logical one) indicates no object in the field of view of the sensor. Low (logical zero) occurs when the object is detected. In our store available versions of analog sensors that detect objects in the field: 4-30 cm, 10-80 cm, 20-150 cm and digital sensors, to detect objects in field of view: 5 cm , 10 cm and 40 cm. A module based on microcontroller STM32F303VCT6 with Cortex-M4F with hardware module floating point operations . Also located on-Board: gyroscope, accelerometer with magnetometrem and programmer/debugger ST-LINK/V2. 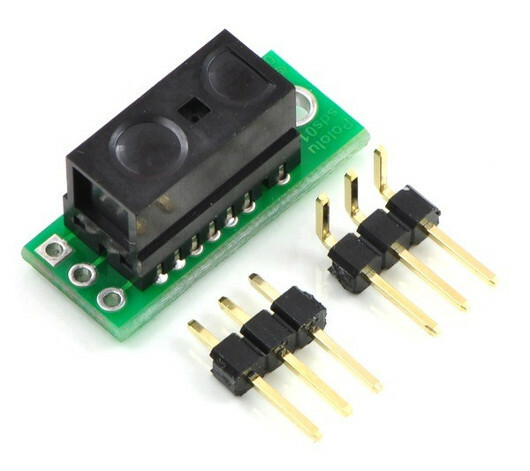 Popular module with microcontroller AVR Atmega32U4. It has 32 KB of Flash memory, 2.5 KB RAM, 20 digital inputs/outputs, 7 of which can be used as PWM channels and 12 as analog inputs and popular communication interfaces, including USB. This version does not have soldered connectors.